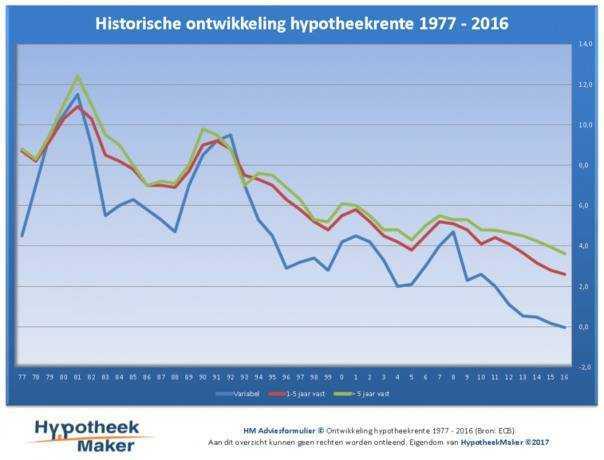 The new figures from Statistics Netherlands, on the finances of households, show that in the third quarter of 2018 the outstanding mortgage debt of households increased by 1 billion euros. As a result, the mortgage debt has risen seven quarters in a row. The total outstanding mortgage debt of households rose to EUR 702 billion in the third quarter of 2018. This is because the sale of houses continues and more expensive houses are bought. Despite the increase in debt, mortgage debt declined as a percentage of gross domestic product (GDP, national income). GDP increased more than the mortgage debt over this period. From 2014 onwards, more mortgage was taken out each quarter than repaid (hence the increase in mortgage debt). From that time on the number of sold owner-occupied homes picked up again and the average house price became higher. Banks have been given more mortgages under management in recent years. One way for banks to provide more credit is the possibility of securitising mortgages they have provided. This means that banks temporarily sell their mortgages to other financial intermediaries. This way the outstanding mortgages disappear from banks’ balance sheets and they can issue more loans. In recent years it has become much more difficult to qualify for a mortgage. Because of the strict loan conditions. That the mortgage debt has not fallen is due to low interest rates. It is so attractive, which makes it possible to borrow a high amount for a house. The expectation is that the mortgage debt will continue to rise for the time being. Nowadays you can not use the mortgage interest deduction for all types of mortgage. Curious as to which forms that still can? In recent years, a lot has changed in mortgage land in connection with the credit crisis.